A Queenslander never forgets a selection slight. I’ve met a couple of second-tier celebs over the years but few of them made me gush and babble more than one I only talked to over the phone: Bruce Yardley. 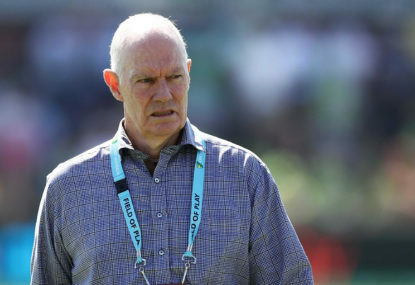 Greg Chappell announced his retirement from Cricket Australia earlier this month. Not effective immediately, mind you – at the end of the Ashes. 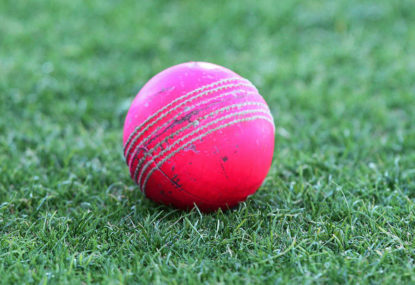 Most articles on this website (mine included) tend to be negative about some issue in cricket, so in the interests of a brighter 2019, I thought I’d write a generally positive piece – about how many awesome cricket podcasts are out there at the moment. In celebration of Will Pucovski’s recent elevation to the Test squad, cricket.com.au published a list of legends of the game who made their first class debut very quickly and went on to have amazing careers. So Mitch Marsh is back in the Australian Test team. 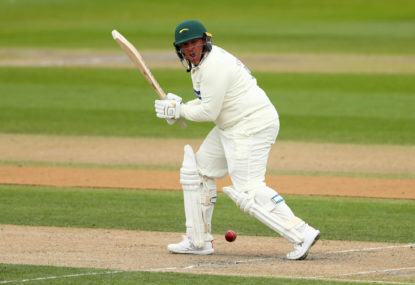 Would Mark Taylor have made a good CA chairman? 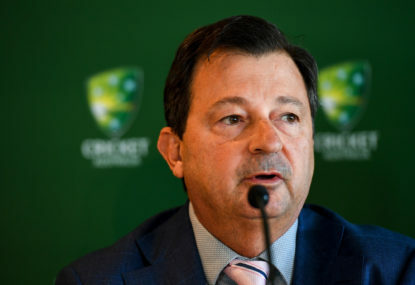 Malcolm Speed, former CEO of Cricket Australia, has suggested Mark Taylor take over as chairman from David Peever. There’s a lot of anger, furore and hot air circulating at the moment in the wake of the review. I know your job is hard. Harder than we realise. Australian cricket is notorious for its feuds. You’ve gone Shane Warne vs Steve Waugh, Michael Clarke vs Shane Watson, Ian Chappell vs too many to mention, Greg Chappell vs players over 30, David Peever vs the concept of dissent. 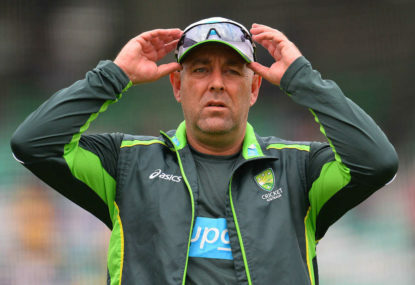 But the one really hotting up at the moment is between Darren Lehmann and Ed Cowan. What happened to Hilton Cartwright? Remember Hilton Cartwright? He played two Tests for Australia not that long ago. I admit to feeling sorry for Darren Lehmann in recent months. Is Justin Langer holding Cameron Bancroft’s spot for him? Recent reports say that Marnus Labuschagne is set to replace Matt Renshaw for the first Test against Pakistan. Australia A defeated India A by 98 runs in their opening first-class fixture in Bangalore this week, and there’s plenty to take out of it for every one of the Australians. Like I lot of people who read The Roar, I enjoy being a self-appointed selector and doing my own hypothetical Test XIs. 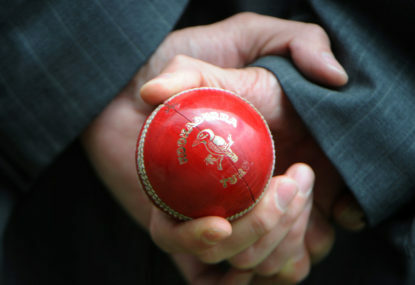 It’s part of the fun of following a sport – it’s also a way of channelling frustration at some of the decisions of the real selectors. 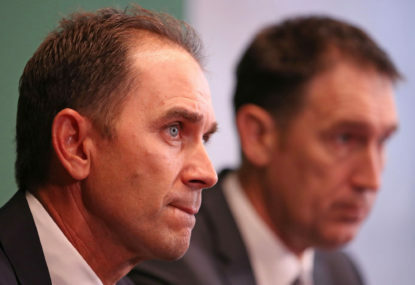 It’s one of the most damaging myths in Australian cricket. A story that gets trotted out time and time again… that you should stick by a player because it took Steve Waugh 27 Tests to make a hundred. Why does Australia struggle to keep experienced players? 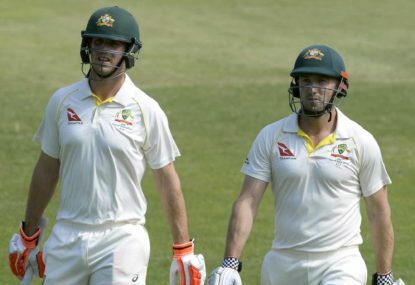 A problem that doesn’t get much discussion is the Australian cricket team’s struggle to retain experienced male players. I think it was Jarrod Kimber who once said if he thought too much about the treatment of Brad Hodge he would go insane. I agree the standard of batting isn’t as high (unless the bowling has gotten super better… which I don’t think it has). But I think over the past decade there have definitely been players who deserved chances given to the Marshes. Back in 2008 Shaun was picked on the Indian tour over Brad Hodge who had just played against the West Indies, effectively ending Hodge’s international career – he was disposed of much too early (FCA of 48). Rogers and Voges were given chances v late in their careers despite strong records whereas Marsh was rushed in to the side. David Hussey (FCA 55) was never given one test. Cameron White (first class average just a little less than Marsh) was given four tests… as a bowler. Ed Cowan wasn’t a barnstorming success at test level but his first class figures are near Shaun Marsh but he was booted with almost undue haste. Callum Ferguson was given one test. Maxwell’s first class form has actually been quite consistent over a decade but he’s only been given sporadic tests. 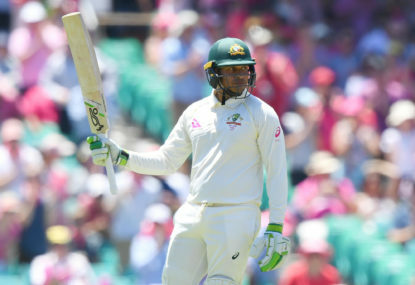 Wade’s actually the one who has had a decent run – I never would have picked him as a keeper (Chris Hartley should have been Haddin’s back up, and Neville shouldn’t have been dropped). But the issue is the amount of chances players get. The ones I’ve listed above have gotten one or two chances (Wade got three, I think). The Marshes get chance after chance. That is what wears people like myself down. Appreciate you have a different point of view – but I can’t help it: after a decade of watching the damage done by the favoritism shown these two, the careers thrown away so that they would get another chance, my temper with their continued promotion is frayed. Hey Josh thanks for their comment. I don’t want them never to be picked again because they’ve been selector’s pets. It’s because they’ve been given so many chances over the past decade and can never be consistent – at ODI and test level. They have had their moments absolutely and get everyone’s hopes up but can never sustain it. 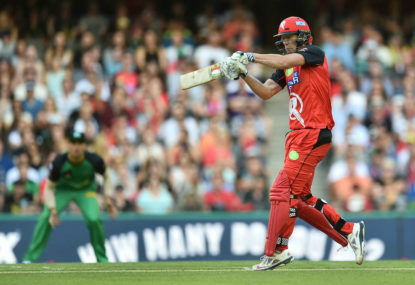 The selectors in the past have overlooked plenty of players who’ve had great domestic seasons because they’re not considered the right stuff – Wade recently, but before him Klinger, Hodge. I think Bevan and Elliot a few years back would carve them up at Shield level and never get a look in. But the Marshes seem to operate under a different set of guidelines to others. It’s the favouritism that gets people down. People hate the favouritism, not the player. Handscomb has a better strike rate (98.58 vs 81.48), can play in the middle order where we are weak (our only options are Maxwell, Stoinis and Carey, everyone else is a top four player). Handscomb does average 5 runs less than Marsh but bats lower, and is a better fielder. Though you are right about your last paragraph in all fairness – but then both Marshes have been shown so much favouritism over the past decade and been so erratic yes I would not pick either of them in any international format even if they averaged a hundred. I think neither of them should ever be picked for Australia again. I might agree with you if the selectors hadn’t shown such consistent overwhelming favouritism towards the brothers over the past decade. The selectors said Handscomb was omitted for Steve Smith, but I feel he should have gone instead of Marsh. They could have gotten around it by taking another batsman. And I think Shaun is definitely still in the test frame. 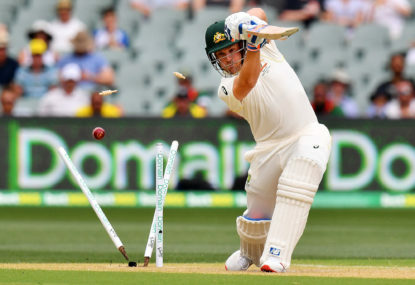 No one is denying Shaun Marsh’s talent. He is very gifted. And very erratic. He’s been given so, so many chances and has taken them sometimes. They could have gotten around it by taking an extra batsman instead of a bowler – I don’t think anyone would have cared if, say, Handscomb had been picked over Behrendorff. re: Mitch in the test team – for me it’s been his lack of first class runs. If someone is struggling at test level but has an awesome first class record, give them the benefit of the doubt, sure, but his first class average is 31 and has been about that for a decade. But that hasn’t stopped the selectors. Pattison’s own coach said he was only capable of playing two test and would need to be protected – which just opens the door for a bowling all rounder at six despite the continued disastrous history with that in the past. 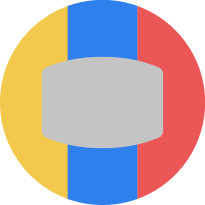 Hey Rellum – thanks for commenting. I would argue though that most (if not all) Australian cricket fans have nil personal disdain for Marsh. Never have. By all accounts he is a fine person. I’m sure he’s a good guy, husband and father. It’s just the favouritism shown to him over others, over so many years, which gets people down. 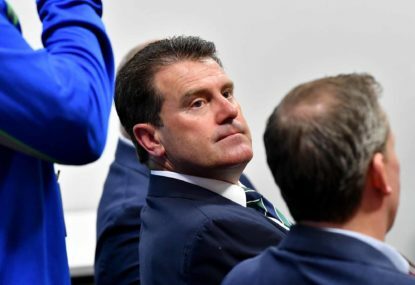 Hey Dave – did I say Shaun Marsh wasn’t responsible? Not having a go – genuinely checking – that wasn’t my intent, and if people read that from this, it wasn’t meant to be the case. 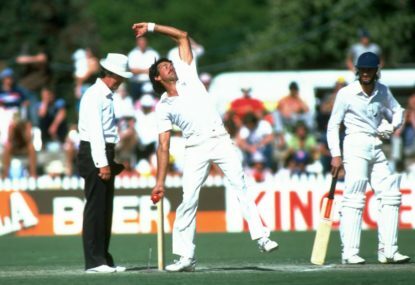 Having said that I do think we can make some generalisations about the Marshes because of the consistent favouritism shown to them throughout their careers – after the squads were announced Langer specifically brought up his personal relationship to the boys and their father. Absolutely. Alan Border helped Queensland win the Sheffield Shield finally in 1994-95, after he’d retired from international cricket. Veterans need to pull their weight – I get why Sth Australia dropped Ferguson, for instance – but if they’re contributing, why not keep them. The most effective way to keep Australian cricket strong is to keep grade and Shield cricket strong, which means keeping good players. A very good bowler. I remember his batting more though, for some reason – it was awful! I think John Gleeson and Bob Holland were as good as Higgs if not better. 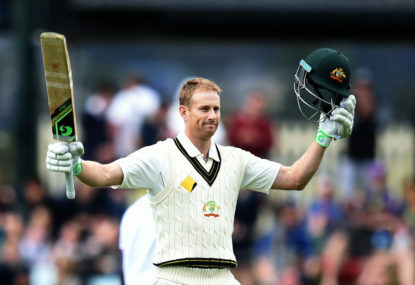 He was very effective at Sheffield Shield level – he made a major contribution to two Sheffield Shield victories. I think Holland and Gleenson won Australia more tests though. I saw Holland bamboozle the West Indies in 84-85 it was incredible. But I never saw Higgs or Gleeson at their height just Holland. I don’t think I ever saw him live. He was a vivid presence on the TV screen though, leaping around in the field and slogging away. I definitely think he could have hung on another couple of seasons at international level – he did try to come back but it was very late. And it’s still pretty cheap to watch the Sheffield Shield even today! I went to Drummoyne the other day and it was $5 to get in! I should have mentioned the fielding more – a very good fielder. He was the direct opposite to Jim Higgs in that department too! I’ve tried to find some contemporary or even recent article about this but have been unable to. It’s what I heard as well though. Thanks for the nice comments Dave. True, Kim Hughes was not in a great headspace… but after being dropped from the test team he did score a shield century (and they selected him for a few one dayers), and I feel his experience would have been useful in a very green side. No crime to fail against the West Indies back then! I don’t feel this decision was a shocker though. And to be honest if Hughes had not spat the dummy and gone to South Africa he might’ve been back in the test side the following summer. 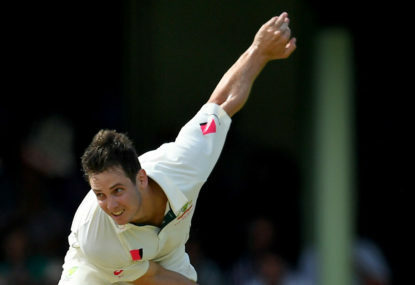 The real shocker was persisting with Phillips as a keeper, which was unfair on him and the Australian bowlers. I would have always played five specialist batsmen at least and always a specialist keeper. I would have held off introducing Steve Waugh until after he’d finished at least a full season of first class cricket. I recognise these were desperate times though and I don’t think it was a major major mistake. I just hate the way Steve Waugh is trotted out as an excuse for every unperforming player who is picked too early. I know… plenty of people who started slowly who didn’t get better though! 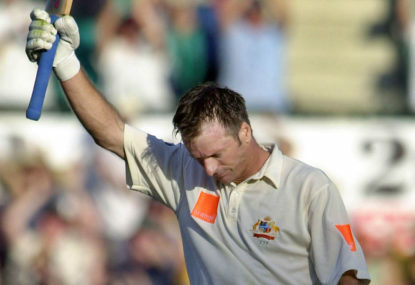 My main issue with Steve Waugh being picked so early was that he hadn’t even played a full season of first class cricket yet and hadn’t figured out his game yet… and he himself admitted he didn’t really figure it out until the early 1990s… I get the romance of early selections and sometimes it does work out but generally feel you are much much better off letting a player do at least two full seasons of first class cricket before putting them up to test level… he wasn’t good enough to be a specialist batsman at that stage, and I think Australia’s chronic collapses from that time show it… still i recognise your mind set is more in tune with the selectors than me! Inverarity took a truck load of Shield wickets in 84-85 and I think would have been a great help for Border in 85 but I recognise that’s a lonely opinion! My issue with Waugh’s initial selection was he clearly wasn’t a top level batsman -and for his first few tests they played only four specialist batsmen – I think they thought they could get away with it because PHillips was keeper and Matthews was in the team. But Australia kept collapsing. They eventually got the balance right later with Waugh at 6 and Matthews at 7 or 8.